Saturday, April 27th from 12-3pm – Everyone Welcome! 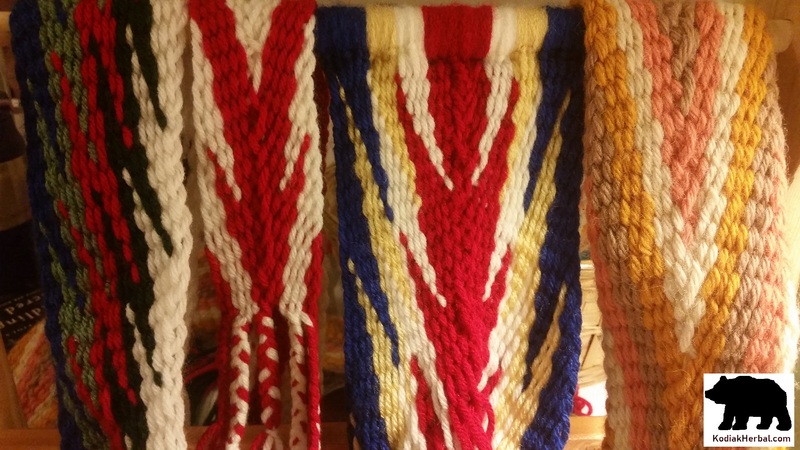 Learn to make your own Metis sash, using the traditional art of finger-weaving. Sip tea while you weave and listen to stories of the sash weavers, and how the ceinture flechee came to be an iconic symbol of the Metis people. 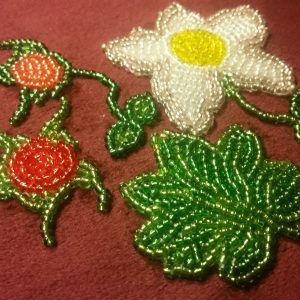 Find out the meaning behind the patterns and colors, and make sample bracelets, lanyards or hatbands from each pattern using your own unique color choices. Beginner’s patterns include Stipple and Diagonal stripe. Intermediate patterns include Sawtooth, Lightening, and Chevron. All supplies are provided. This workshop is suitable for ages 10 and up. Younger children and babes are welcome to play in the adjoining kids’ area. You can view our workshop policies here. Please email Kalyn@KodiakHerbal.com if you have questions about this workshop.